Winger Christian Crichton will become Panther #574 after confirmation the youngster will replace the injured Dallin Watene-Zelezniak for tomorrow night’s clash against Canterbury at ANZ Stadium. Watene-Zelezniak will be missing for at least the next six weeks after scans revealed he broke his jaw in Penrith’s opening round match against Parramatta. “Christian has done a good job over the off-season,” Penrith coach Anthony Griffin said this morning. A St Marys junior, Crichton began his footy career as a member of Penrith’s Harold Matthews team and has slowly risen through the club’s system ever since. 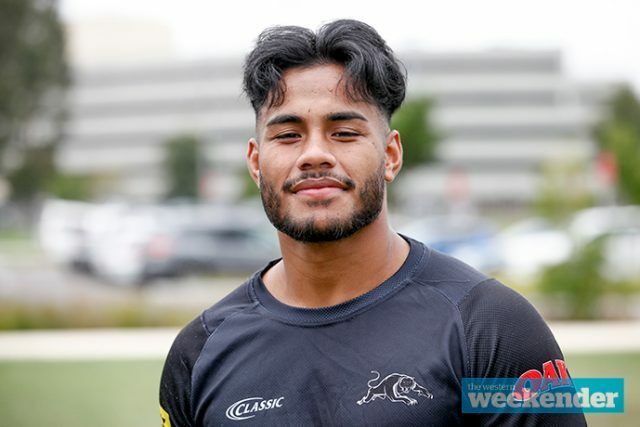 Crichton told the Weekender earlier this year that being a Penrith junior means making his NRL debut at the foot of the Mountains would be particularly special. “It would mean a lot to me and my family especially because this is my junior club,” he said. Crichton also had plenty of pre-season praise for coach Griffin. “What I really like about Hook is that he just lets us go out and play… he wants us to play our own game and doesn’t tell us to do this or that,” he said. “Hook’s been really helpful telling us to go out there and enjoy our footy, and that’s when you play your best.